The Amsterdam Energy City Lab works on different projects and technologies to optimise local clean energy generation and use. The combination of renwables and electric vehicles is an important challenge. 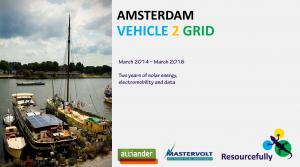 The Amsterdam Vehicle 2 Grid project is running since March 2013 and has yielded significant results, promising for further city outroll and replication. Solar installations generate renewable electricity during daytime, when demand is low. This mitmatch between production and consumption of energy causes inefficiencies in grid utilization. This situation is worsened by the presence of Electric Vehicles, that risk to overload the grid if are charged at the same time (for instance, during the evening, when users come back from work). The consequence is an unestable grid, that may have to undergo expensive refurbishment in order to accomodate this energy and mobility revolution. Resourcefully supports the Vehicle to Grid scheme in order to obtain one solution from this couple of grid problems. The transition to an smart energy future begins rethinking entire systems, making use of Demand Supply Management and Energy Storage. Electromobility plays an important role here, allowing to store solar energy to later use it in the hours of low production. 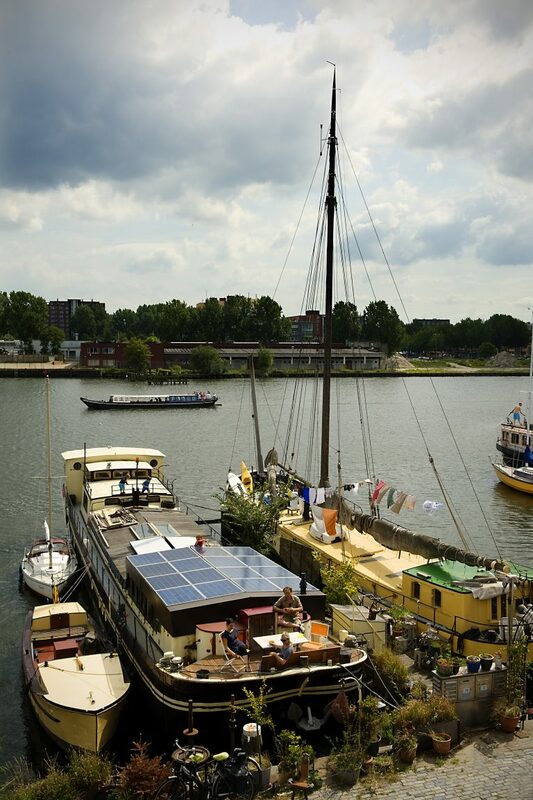 Amsterdam V2G demonstrates how e-mobility, renewable energy, domestic electricity usage and the grid can enforce each other in the smart energy future. Operational energy losses in storage in DC batteries, and re-conversion when consuming the energy about 80%. Capacity of the battery and the degradation of this after in 2 year time is quite limited (ca. 6-7%).